I loooove September. It's the promise of fall, and fall is my favorite season. I used to live in New York and spent a lot of time in Boston. Fall in the northeast is pretty magical. It's the changing of the leaves, the chilly temperatures that bring out the cutest outfits. I would pull out my hats, my scarves and cute jackets with boots and stomp around on some leaves. This year I'm in Atlanta and I don't know if I'll experience the same kind of thing here. I know it won't get super cold in the winter which I am grateful for but I'm wondering what the fall season will be like. Fall fashion is the best. Which brings me to this post. Yesterday, I got an email from Athleta and I know a lot of Lululemon fans aren't a fan of Athleta. I do however think Athleta is stepping things up a bit. From the email I received, there are two pieces I am dying to see in person. I mean, how cute is this outfit? 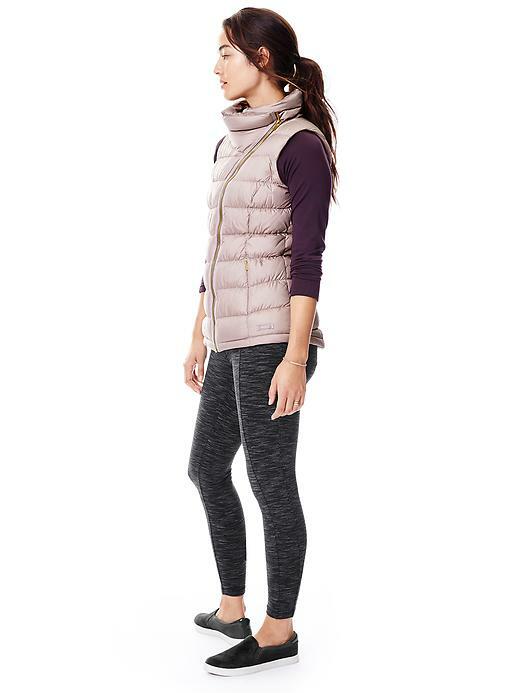 If you're new to Athleta use my referral link to receive $15 off your $100 purchase. I know you can't see what she's wearing on the bottom but I'll just pretend she's wearing black leggings and some black chucks. I'm hoping the color is true to what I'm seeing on my screen. It looks like a soft pink and I'm hoping it's not very shiny. It's also 800 fill down. 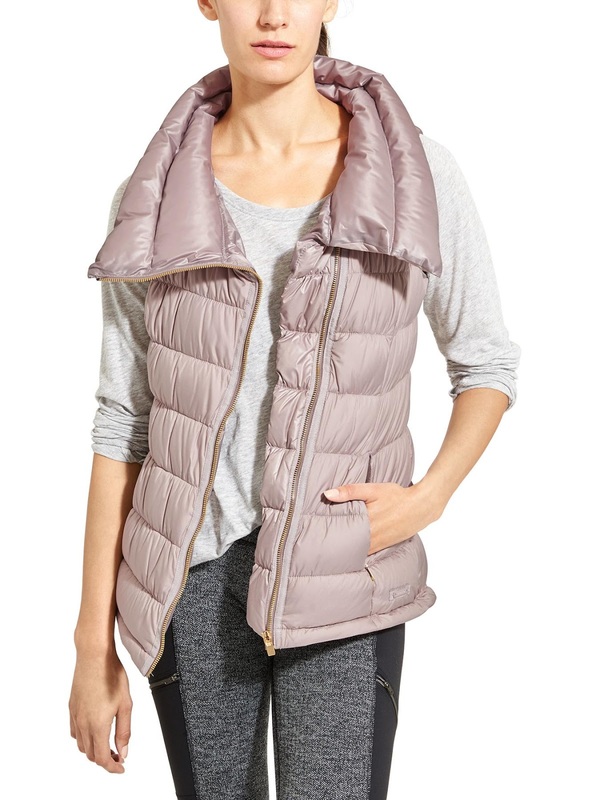 The vest also comes in two other colors if you're not a fan of pink. Wild raisin and black. I'm not crazy about how the website has it modeled but I am loving the photos from their look book. I really like the asymmetrical zipper and the gold hardware is a nice luxurious touch. The last photo the model is wearing it with what looks like a grey hoodie. I already have a nice one that looks similar to this from Lululemon but I would be interested to see how the two of them compare. The price of the Stronger Hoodie is $108. Which is about the same as Lululemon, just a tad cheaper. I also really like the shoulder detailing. It gives off a slight motorcycle vibe which makes it not just your average hoodie. The hoodie also comes in black and charcoal heather space dye. I'm going to try and get to a store this weekend and try these two on. I'll report back as to how I like them. What do you think? Yay or nay? Yay, but quality in wear is very important to me! This is very true. I only have a few pieces by Athleta. One down jacket, one pair of leggings and a headband. The headband was awful. It only lasted a few months. The jacket and the leggings so far are holding up okay. But I don't use the leggings as often as my Lulu. But at least Athleta has a better return policy than Lulu. They will take returns at any time I believe. I love it from the catalogue picture!! Too bad that I just got a cheap lightweight vest from costco tho ($14) Lol. I like Athleta. Just little less than lulu. 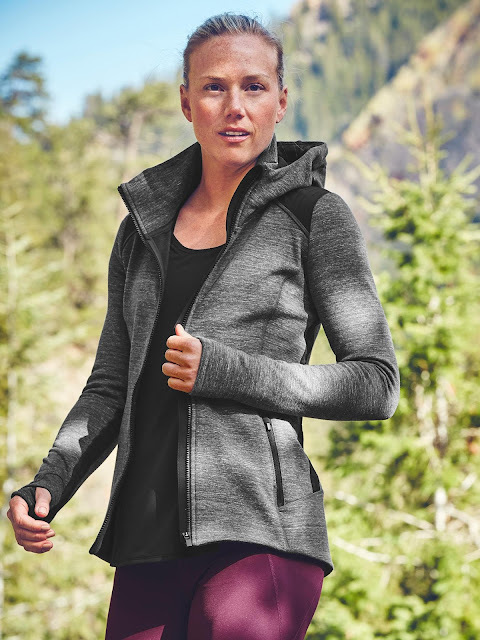 I haven't gone to Athleta for a long time, but now I'm actually excited to see their new line in person! I must confess I heart Athleta. 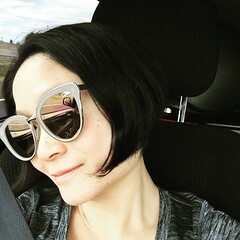 I find their fit and quality to be very good, plus they do petite sizes which I love. I only have one item which I am giving to a friend (Chaturanga capris) as the hem is too tight on me. They also ship to Switzerland! I can order Lulu here as well but the prices are crazybeans! 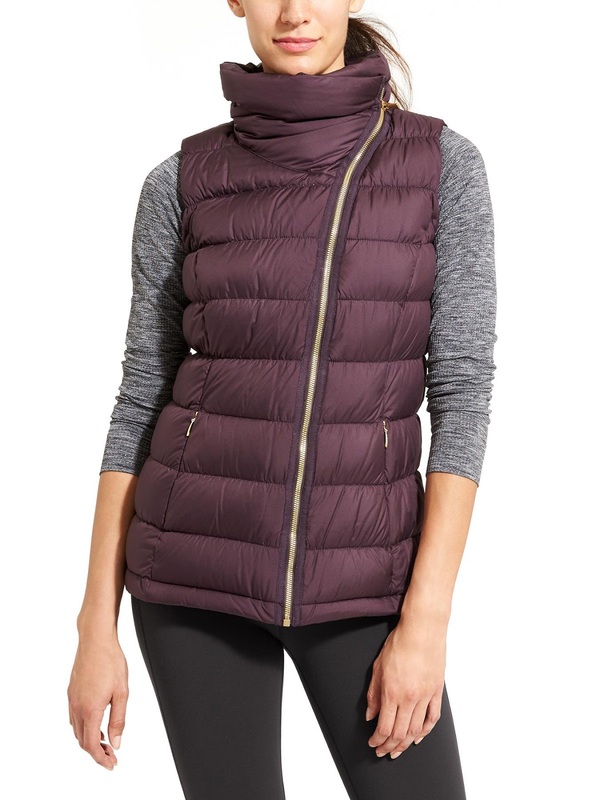 I have a lot more Lulu than Athleta but am buying more Athleta stuff lately. I also love that their Fastest Track stuff is made in the EU. Yes! I will say the Athleta does fit me very well. I forgot they had petite lol. Glad to know you have good experiences with them too. I feel like here, Lulu is only a little bit more expensive than Athleta, but Athleta has better sales and return policy.